You don’t have to go to far before you can find a Bratwurst, schnitzel or any number of German favorites while wandering the streets of Munich or Planegg Germany. If you are lucky enough you will enjoy the combination of one of your favorite German foods while having it in one of Germany’s oldest beer houses or brewery’s of some of the worlds most famous beers. 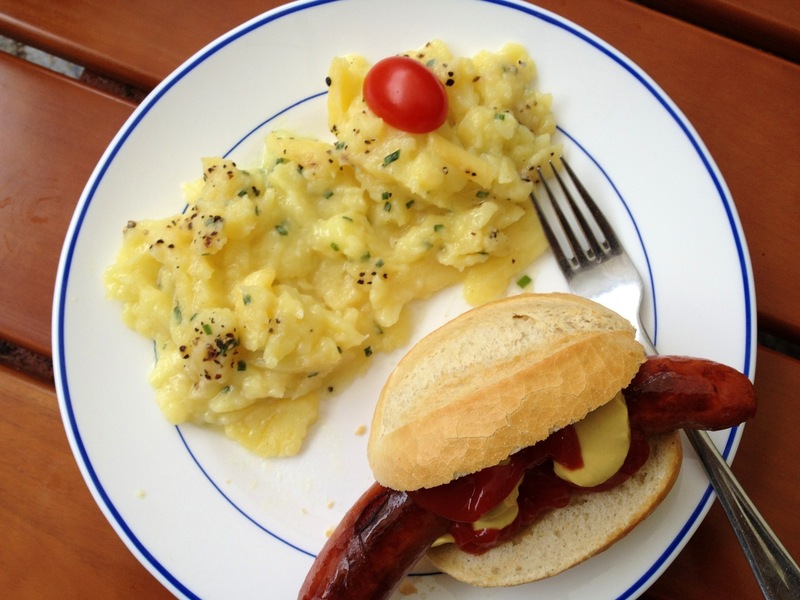 This salad is a nice change to the traditional potato salad that we all had growing up…..and trust me when I say that even within the different regions of Germany you will find other variations but most seem to be vinegar based as opposed to what we are used to being egg and mayonnaise based. the basic salad will have a vinegar base with likely some onion and mustard seeds or mustard and simple seasoning such as salt & pepper and parsley. Both we were delicious and a nice representation of the Bavarian region that we were visiting. 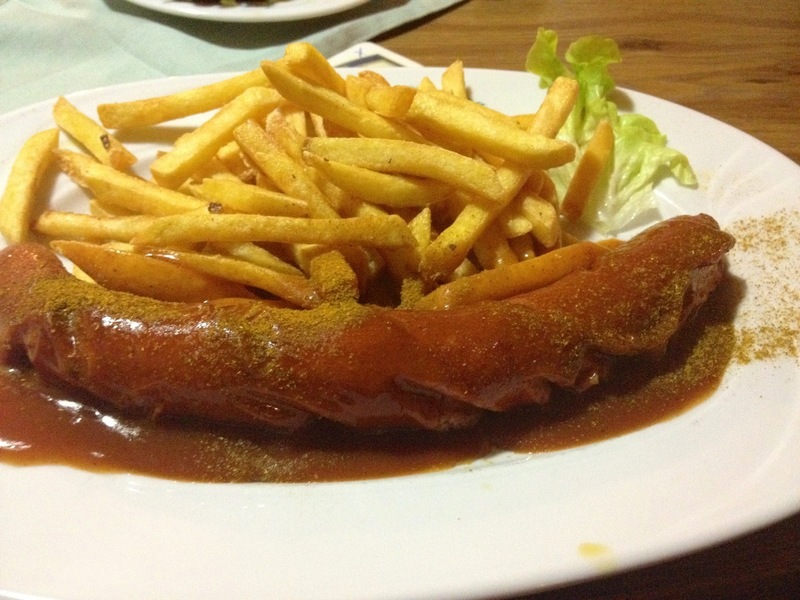 The selection of Bratwurst or Schnitzels are are similar but with a play on added flavor…..
Another flavorful dish tried was Currywurst basically similar to a brat or Kielbasa with a brown sauce mostly made from a tomato chili based sauce and finished with curry powder for a twist on flavors. 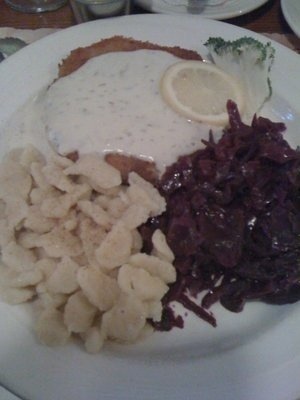 This dish is a popular “fast food” dish in Berlin. It is usually served with fries and no bun…. Try one for a kick up in flavor! 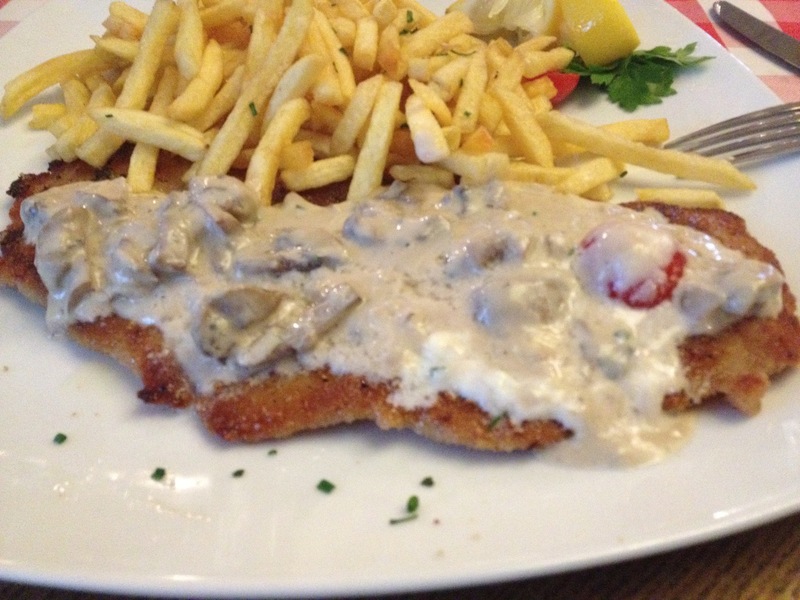 Jäger schnitzel – which is not breaded and usually served with a cream mushroom sauce. As mentioned many country’s have variations of something similar, but expand your palate and try these wonderful dishes if you are visiting Germany or Austria or around the region……and enjoy the simple variations in flavors or textures…. One possible misperception of “Wiener Schnitzel” is that wiener is inside…..it’s not, you will commonly find veal, chicken and turkey used in most German or Austrian schnitzels as well as Italian cutlets. Last but not least, Spaetzle these little taste treats are basically a traditional German dumpling based from flour, milk and eggs….. They are best had fresh and seasoned lightly as they can compliment your Schnitzel dish and soak up the nice mushroom gravy sauces. This dish is served just as we would potato or pasta as a side dish. The dish is commonly found lightly seasoned may be served with bacon bits inside or plain. They are small and easy to eat……..